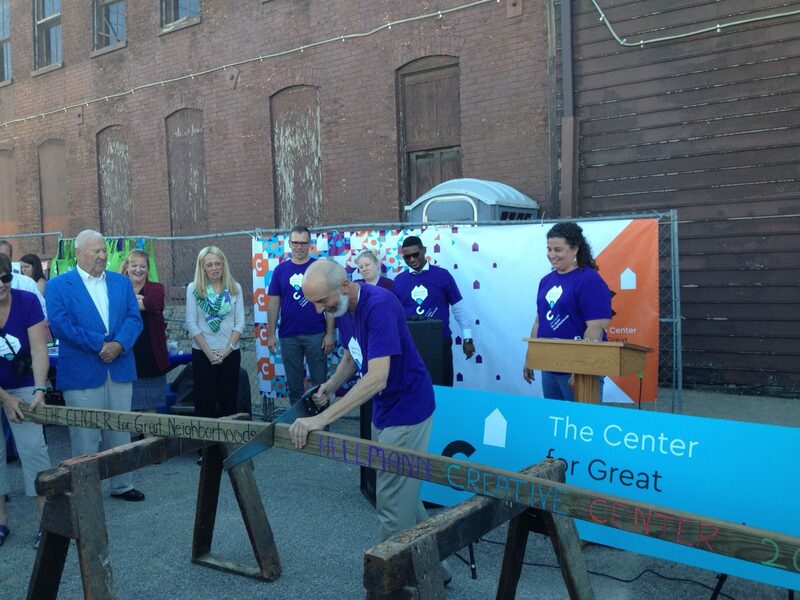 The Center for Great Neighborhoods has scheduled events Thursday to celebrate its 40th anniversary, as well as the Hellmann Creative Center Grand Opening. 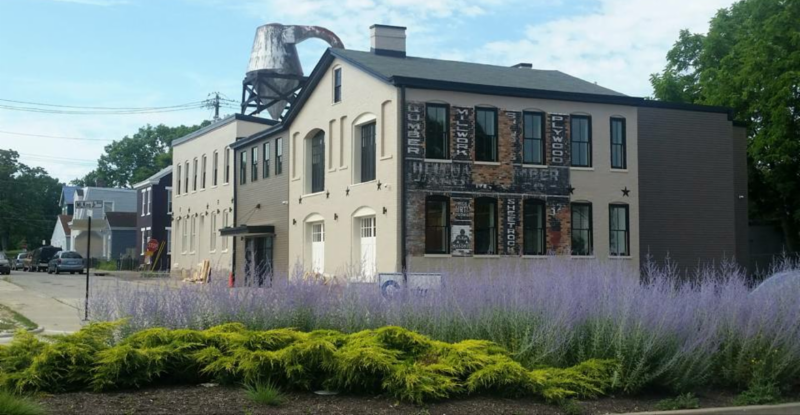 The new Hellmann Creative Center, located at 321 W. MLK/12th Street, in Covington (photo by Chuck Eilerman). The celebration starts early with a free breakfast for friends and neighbors, featuring some local Westside staples and a sampling of the food to come later in the day. Fire Lab, the featured food vendor will start the five fires that will cook food for guests at 4 a.m. Lil’s Bagel’s, Covington Coffee and other bites from Fire Lab will be featured. Breakfast takes place at Hellman Creative Center, located at 321 W. Martin Luther King Boulevard in Covington, from 7 a.m. to 10 a.m. The main event of the day is the celebration of 40 years of community building in Covington and the opening of The Center for Great Neighborhoods’ new facility from 4-7 p.m. Included is a tour of Hellmann, featuring The Center’s new office space on the second floor, two community meeting rooms, and first floor artist studios and local food. The grand opening represents a year-long project designed to breathe new life into the Hellmann Lumber building. The organization broke ground on the Hellmann Creative Center, on Martin Luther King Boulevard at Fisk Street in September of last year. The structure had been vacant for about 20 years, but prior to that it produced the wood that is in many of the homes and businesses in Covington. During the event, The Center will also unveil a new sculpture in front of the building. The piece is by nationally known sculptor, Tom Tsuchiya (known locally for his bronze sculptures of Reds players outside of GABP), and is a tribute to the life and legacy of local unconventional artist, Raymond Thunder-Sky. Raymond is best known for dressing as a clown in a construction hat and drawing thousands of images of construction and demolition sites around Cincinnati and Northern Kentucky. The work was the idea of Bill Ross and Keith Banner, co-founders of Visionaries & Voices and Thunder-Sky, Inc., two nonprofits in Cincinnati that promote art by nontraditional artists. The sculpture is an important addition to The Center because it represents the belief that everyone has creative talents and the ability to positively influence their community. For more information on Thursday’s events, click here .